I normally share my word to sum up our week on a Thursday, but this week has been so incredibly mixed that I wanted to think … and think … trying to have a “lightbulb moment”. He’s now officially finished year 7, his first year in secondary school. He’s overjoyed and, as cheerful as he is, D isn’t because she doesn’t finish for the summer until next Wednesday. The mornings before school are going to be quite difficult to manage as she’s going to be a tad grumpy (to say the least!). I got in to see my doctor this week, shared my concerns (primarily hair and nails) and she sent me off for tons of blood tests. This was an experience in itself as the surgery nurse got a bit confused and thought that a “dark blue tube” for bloods meant that it needed to be taken in a dark room, so she sent me to the pathology department in the hospital (I know! And because I haven’t had a dark blue tube one done before, I did double check with her but didn’t think that what she was saying wasn’t correct. I do now!) Instead of a ten minute surgery appointment, it turned into a 3.5 hour round trip and all on an empty stomach as one blood test was a fasting one. D’s school finishing later than T also means that I can see someone next Tuesday about my hair, because whatever is wrong is effecting it and therefore my confidence. I am a lot happier about talking about things affecting me, without crying, so I guess that is a positive in itself. 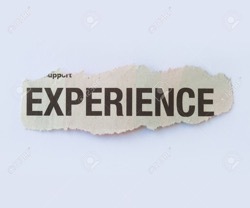 I also had a new experience on Wednesday, heading off to Clapham for a consultation on increasing confidence and helping the ageing process as part of a BritMums project. I went in not knowing what to expect and really enjoyed it, it was nice to talk to an expert about me (without crying!) and I came away very positive (post up soon). Again, something I could not have done with T and D in tow. I love music and I’m so pleased that D does too. We’d been asking her whether she wanted to carry on with flute lessons from September (paid for lessons) and she got extremely excited about it all. A very smiley D! I’ve been making enquires about hiring one so that she can practice at home and this is when I’m thankful that she’s not learning the double bass or cello, because a flute is so much more portable! D had the chance to see and hear a full orchestra this week in a concert format and she loved it (following initial anxieties), she was especially pleased to see her flute teacher playing in the orchestra. A fantastic experience for her and it’s made her even more enthusiastic about her playing. So, that’s us. I am aiming for a weekend without drama (would be nice), a time to chill and just be thankful that I can be with my children all summer, hopefully with some laughter and happy memory making too. Looking for Blue Sky on 17th July 2015 at 8:26 pm. Jeannette on 26th July 2015 at 4:24 pm. Thank you, her last few days went very well. Noelle on 19th July 2015 at 6:22 am. Jeannette on 26th July 2015 at 4:23 pm. Very true! I bed to remember about the upping the water bit, it would have definitely helped! Merlinda Little on 19th July 2015 at 9:46 am. So lovely to hear that you finally got some test! Jeannette on 26th July 2015 at 4:22 pm. Thanks Merlinda, lovely that your son wants to give an instrument a try. I’ll bet if you had a look at music lessons near you, there would be someone who would give him a few minutes trial to see how he gets on. A musical instrument shop, if you have one near you, would probably have info too. I didn’t expect D to embrace the flute so enthusiastically but all the children in her class have done extremely well with their sax, cello etc, I’m pleased that she has a relatively small instrument compared to some! xOjox on 20th July 2015 at 3:01 pm. Jeannette on 26th July 2015 at 4:19 pm. Thanks Ojo, all apparently within “normal range”, although my “normal” may be slightly different to others.